6 Bedroom Detached House For Sale in Exeter for Guide Price £375,000. The property is located on the outskirts of Exeter with great transport routes into the city centre and also the M5. 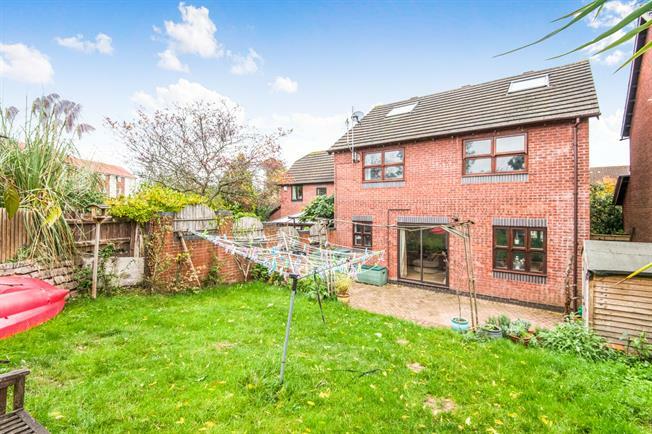 The property comprises of modern kitchen/ diner, separate lounge with patio doors leading onto the garden. There is also an integral garage and WC. To the first floor there are four bedrooms one with en-suite and also modem bathroom. There are two further double bedrooms on the third floor. Outside to the front there is parking for 3 cars. To the rear an enclosed garden which is mainly laid to lawn, patio area at the bottom with shed.